A popular gift for any occasion, to the values of £50, £100, £150, £200, £250 and £500. 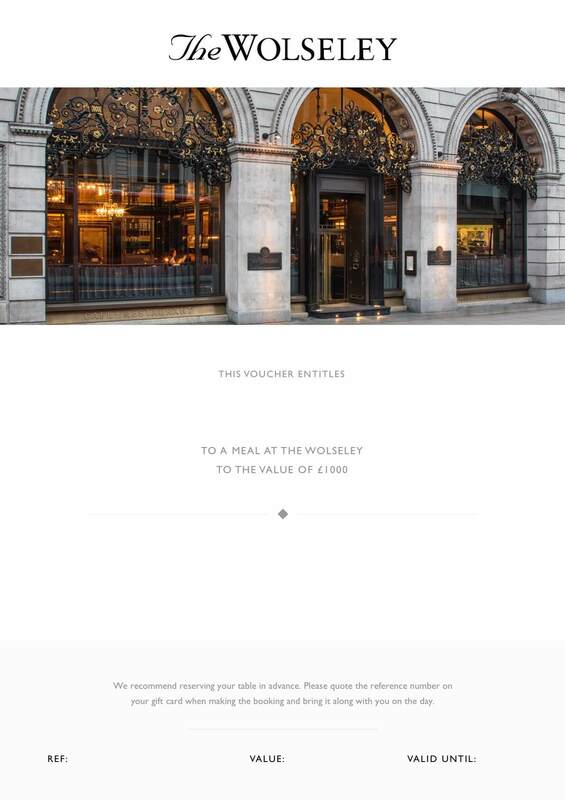 Our E-Vouchers can be redeemed at The Wolseley for breakfast, lunch, afternoon tea or dinner and are sent immediately with your order confirmation email. 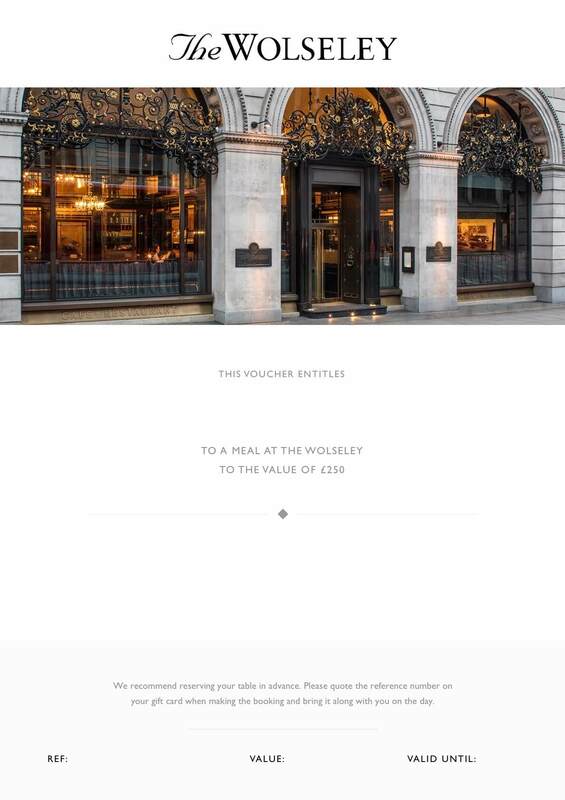 Please note that our E-Vouchers are redeemable at The Wolseley, 160 Piccadilly, London only; they cannot be used when making a purchase from our online shop.